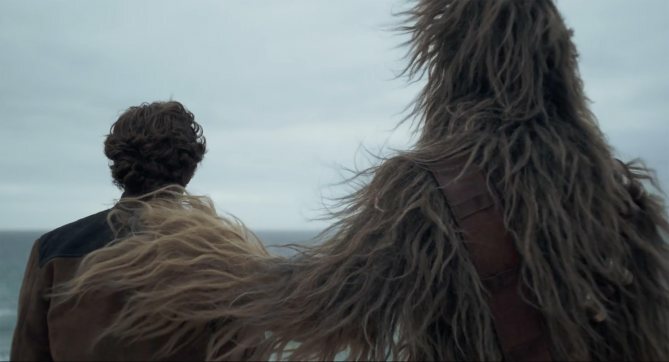 At its core, Solo: A Star Wars Story is about taking an audience on a journey from point A to point B with a few twists and turns along the way. In that sense, Solo soars as an adventurous thrill ride, fitting for the deviantly charming smuggler we’ve known to love. I will say, I really did enjoy this simplistic approach to the story’s plot during my first watch. However, once you start to peel back the Star Wars magic, you’ll begin to notice the flaws, most of which involve the script. Several of the new characters are somewhat uninteresting, the dialogue for Han Solo felt very un-Han-Solo-like for about the first half of the film, there was absolutely no chemistry between Alden Ehrenreich (Solo) and Emilia Clarke (Qi’ra) and for a film titled Solo we strangely don’t spend much time developing HAN SOLO. How does this happen? Moving past a weak script, I must take aim at Solo‘s cinematography. Why does it look and feel so cinematically displeasing? So much of the film was shot so dark and with a one-note color wash that at times we can’t make out what it is we are seeing. That being said, if you can move past those flaws you’ll find yourself on a thrilling adventure from beginning to end. The effects and action set-pieces are all top tier as we have come to expect from Disney’s Star Wars, specifically would like to shout out the infamous Kessel Run scene. Which is actually a perfect segue way into my next compliment; Solo nails most of its fan service moments. Han and Chewie’s scenes all were very smilie-inducing in the best way possible. All I can say is don’t go into this new chapter of the Star Wars Saga with lofty expectations of exciting adventure matched with thrilling and substantial storytelling. If you lower your expectations, you’ll find yourself having a great ride. Though with a strong script, we really could have had something special.